In the first clash of the Fourth Coalition, Bernadotte, at the head of Napoleon’s center column, moved against Tauentzien’s Prussian/Saxon division near the village of Schleiz. 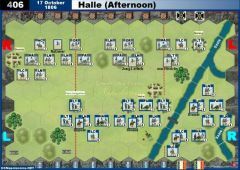 Tauentzien, realizing that the French were advancing in strength, sent Bila’s troops forward to slow the French advance, while he waited for reinforcements or orders to retreat. Bernadotte did not wait, but swiftly issued orders of his own. Soon Werle’s advance guard moved against the Oschitz Woods, while Drouet attacked Schleiz. 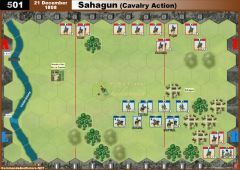 Murat’s cavalry reserve was to support the advance, although the countryside was not really suited for mounted troop action. 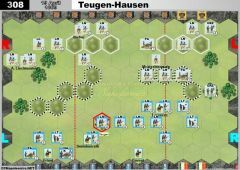 By early afternoon the French could not be stopped and Tauentzien decided to fall back to Auma in an attempt to maintain a link with his outlying commands. The retreat came too late to save one Prussian battalion. Isolated by the French advance, most of the battalion was captured. 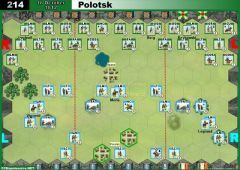 • The Prussian player receives 1 Victory Banner for every 2 Prussian units that exit the battlefield from any hex on the Prussian baseline. This is a quick, well balanced scenario, not bad but very vulnerable to drawing good cards. As the Prussians, I drew Grande Manoeuvre and won quickly. 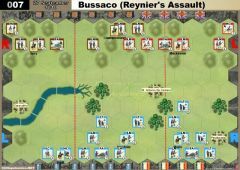 Then we switched and as the French I drew Bayonet Charge and won quickly. So if you want a "quick and dirty", fun game where luck will play a big role, this scenario can be nice, otherwise I think it's better to avoid it. 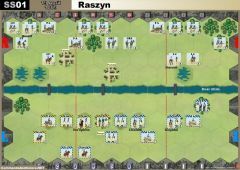 Kramaric wrote: This was my first Prussian scenario and I am unlikely to play it ever again. I lost as French without a single victory point scored. 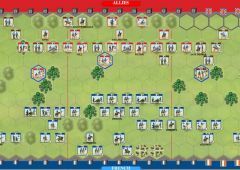 My opponent got the first point after my leader fell from the horse with two sabres rolled and then fled the field with grande maneuvre card. 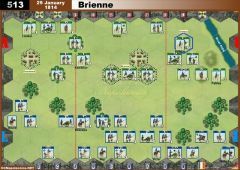 I could not get my units to reach the city on my left flank before the game was over. 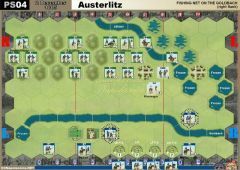 Whilst this can be a problem with the LGM card, on the whole this is one of the better scenarios in the Prussian expansion, and certainly of the 1806 scenarios. It is worth playing a second time. This was my first Prussian scenario and I am unlikely to play it ever again. I lost as French without a single victory point scored. 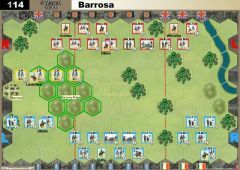 My opponent got the first point after my leader fell from the horse with two sabres rolled and then fled the field with grande maneuvre card. I could not get my units to reach the city on my left flank before the game was over. Thanks for all your help with Vassal Todd! And thanks for the game ! Yes I think the cards really decide this even if one stays and fights as Prussian. 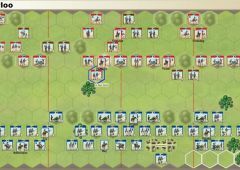 You , as French, get 2 Victory banners for Schleiz so that and a few Prussian dead Units lets you win so I decided to slow you down in getting at least those two! Also to win purely by escaping I need to get 10 units off the board which is almost all my army once I would get 5 units off you can quickly overwhelm me. I look forward to swapping sides with you! 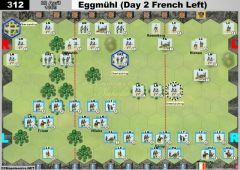 Played this as the French against a newer player who valiantly stood and fought rather than take the escape victory banners. I see this as a Prussian victory more times than not if the prussians focus on escaping - cards being the deciding factor as they usually are on escape condition scenarios.